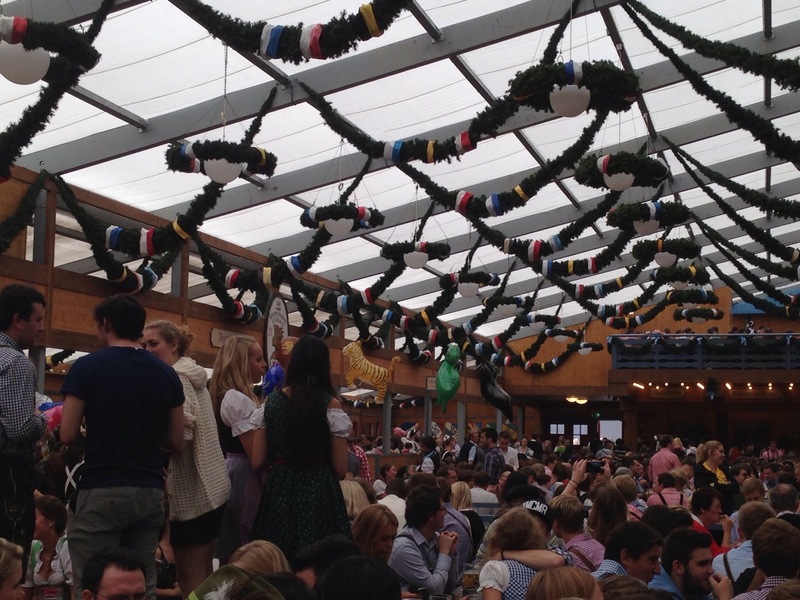 Munich, Germany’s Oktoberfest is the stuff of legend for most college students and twenty somethings in North America. It is seen as the holy grail of beer festivals, imitated, but never duplicated, every year worldwide. 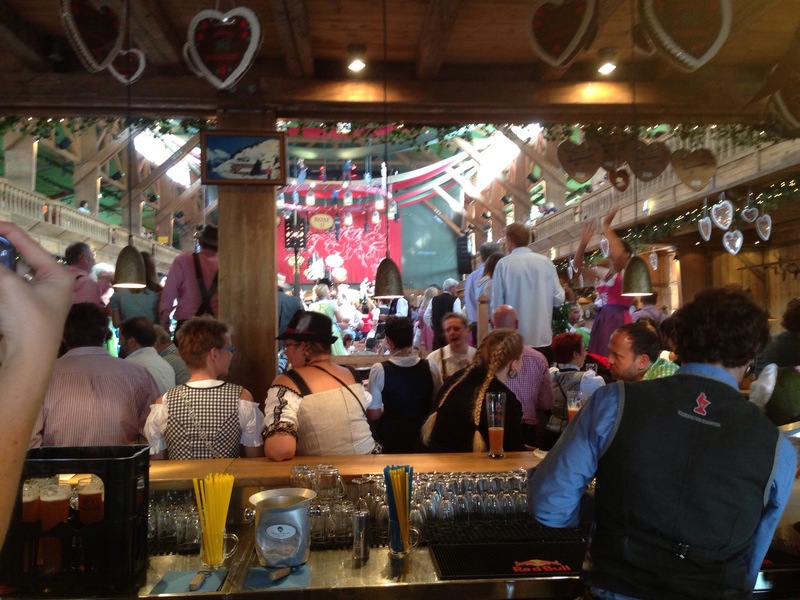 It is that safe, friendly environment for all to sport traditional Bavarian costumes while yelling “Prost!” and singing (or slurring) German drinking chants or folk tunes more times than anyone would care – or functionally be sober enough – to count. It is a festival so many of us aspire to attend, just once in our lifetime. That is the myth, the legend of Oktoberfest. The reality is a bit different. 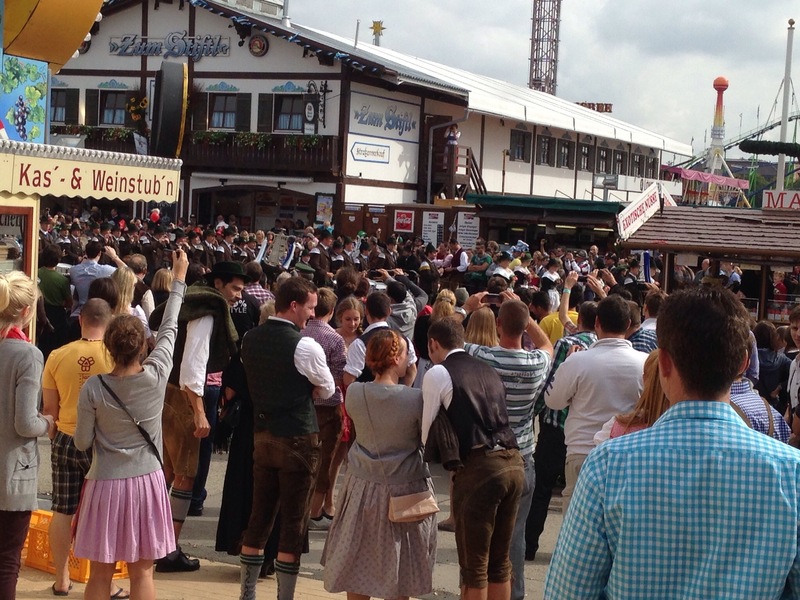 If you have ever been to a state fair or community festival, Oktoberfest is much larger and distinctly Bavarian, but it is not vastly different. 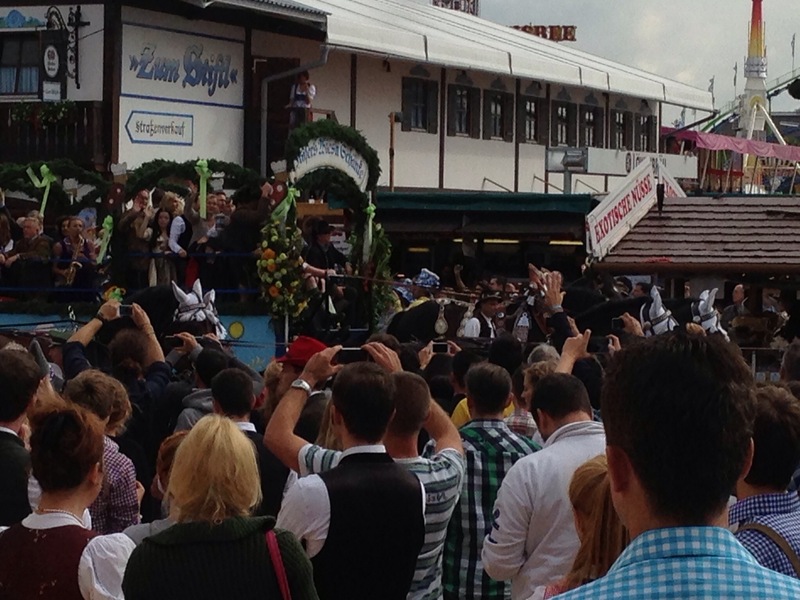 It is Bavaria’s state fair and harvest festival, albeit heavily focused on beer. 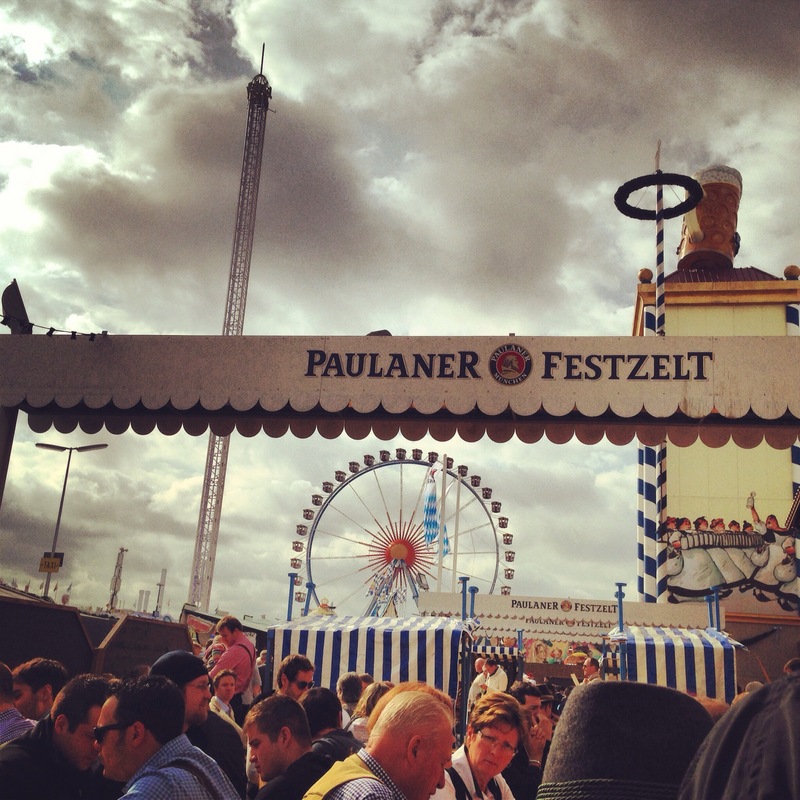 Two years ago, I had the good fortune to experience The Oktoberfest for myself. Already in Europe at the start of Oktoberfest, my friends and I scrambled to find last-minute train tickets, lodging, and coordinate other logistics to make the trek to Munich for Oktoberfest’s opening weekend. Interestingly, “Oktoberfest” is a bit of a misnomer to most of us, as most of it actually takes place in September, finishing its two-week run at the start of October. Our adventure began with a 545 am Saturday train ride. Most passengers, understandably, were quiet and groggy with sleep deprivation, aiming to nap on our way to Munich. That plan was thwarted by a group of four 70-something German men, already getting an early start to their Oktoberfest by drinking several pints of beer throughout our 3+ hour train ride. The drinking led to a continuous increase in the volume of their conversations and singing. It’s not what you want to hear when trying to nap and to this day, I’ve never heard a group of four men so loud. It also didn’t help that I was wearing my adorable dirndl (the traditional, “beer wench”-esque female costume and foil to male lederhosen). Dirndls, with their corseted bodice and layer of crinoline for volume, aren’t terribly comfortable and limit a person to a very few comfortable seated positions. Arriving in Munich’s central Hauptbahnhof (main train station) mid-morning, we set off on foot directly to the fairgrounds. As we walked in the main gates, the resemblance to any large state fair in the USA was striking. Large, colorful tents, small food stands awaiting crowds in need of calorie overload – it wasn’t unfamiliar. It was strangely quiet at that hour, and it felt like we were trespassing. The real deal is that on opening day, nothing officially begins until noon, after the opening parade and after the mayor of Munich officially opens the festival – and the taps – with a ceremonial tapping of the first keg. Each large brewery/brand has its own tent. Don’t visualize a typical, temporary vinyl, white festival tent or booth. Referring to Oktoberfest’s beer houses as tents does them a disservice, as they are ornate and exquisite, combining carved wood, metal, heavy fabrics, and with plenty of large benches for seating. 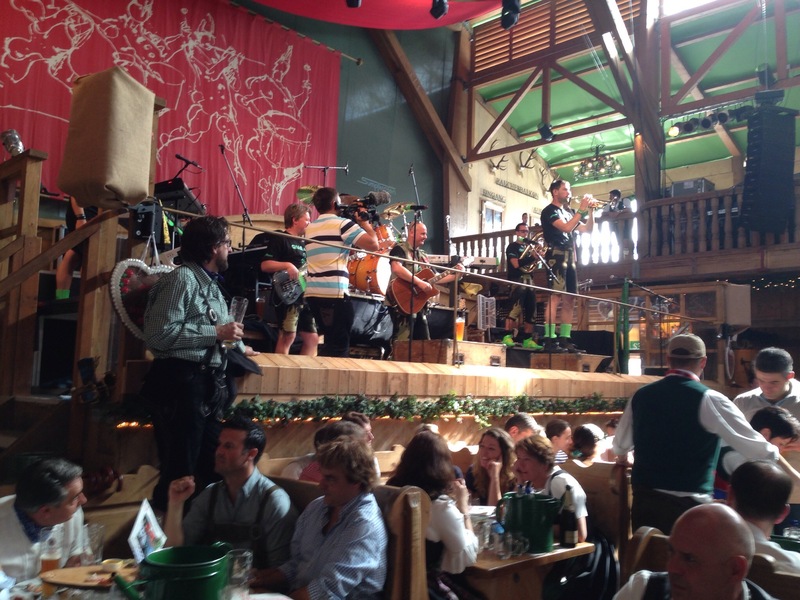 If you choose to visit Oktoberfest and have advance notice, it is highly advisable to reserve seating in advance. The majority of seating in most tents is reserved; what’s left is first-come, first-served. In other words, if you have no reservation, plan on a bit of standing and waiting in line. If you show up without seats on Opening Day, you are wise to come early. 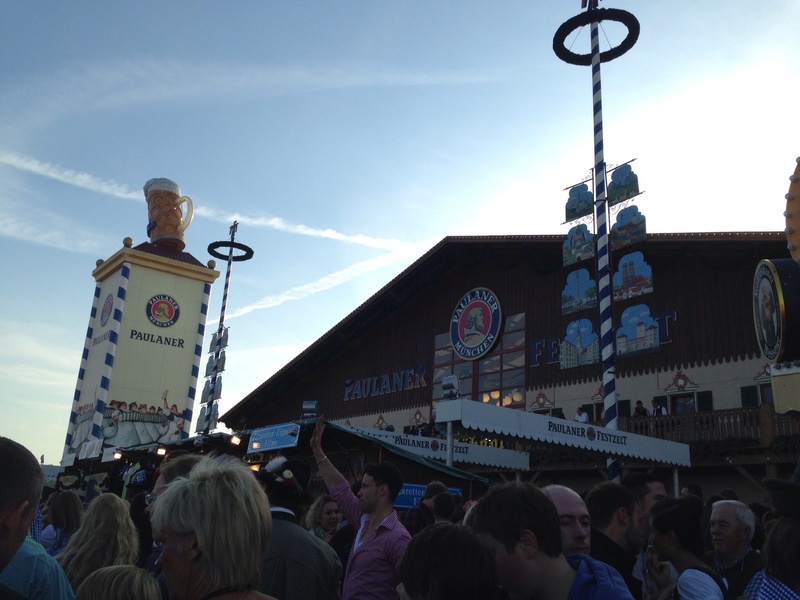 We beelined to the Paulaner tent, which has rare outdoor seating space and table service. We made space for our groggy group at a large table shared with American tourists, a middle-aged German couple, and a few young Eastern European adults. Though it was a clear, sunny morning, it was quite chilly for dirndls, and the disappointment of having beer unavailable for another two hours was hard to overcome. Luckily, a few in our group ordered and shared a few snacks – a pretzel (which seemed a bit stale for opening day) and a flatbread. After what seemed like an interminable wait, the festivities finally got underway with the start of the parade. Suddenly, our chilly outdoor seating showed its benefit. Each brewery was represented, typically with horse-driven wagons (floats) carrying enthusiastic riders waving to the crowd. The mayor passed by, and just out of our eyesight, he tapped the keg. Waiters certainly earned their keep. As i’ve mentioned in previous posts, I’m not a huge beer conoisseur, so one liter of straight beer was all I could handle before switching to a Radler – a bizarrely tasty combination of beer and orange soda. Plied with the commoner’s social lubricant, our mood lightened. We yelled “Prost!” (The German “cheers”) out to each other and our new friends of convenience, listening also to the drinking songs of others. It was a fun afternoon, complete with a small but triumphant act of rebellion against The Man. (Who exactly is the proverbial Man will remain a mystery). We took turns sneaking inside the tent itself. A reservation and hand stamp was required for entry, so after one friend convinced a stranger to transfer his stamp to her, we recklessly transferred the stamp between our group, over and over, as the stamp became blurrier and blurrier each time. We finally had our glimpse of the off-limits, reservation-only fun inside the packed, boisterous tent. All I can say about it was that it was crowded, loud, and slightly chaotic – not much more fun than our outdoor area. So much for the hype!We may have received a few wary looks from the bouncer types there; however, we did not get caught. Waiting in an enormous line for the WC, I again was struck by the volume of Oktoberfest goers from the U.S. and Canada. Everyone else was in the minority that afternoon. By five o’clock, we were exhausted and too hungry to be satisfied for the (good) festival faire, and we headed for central Munich and “real” food. We this never did experience the true revelry and party atmosphere of a later night at Oktoberfest. Moreover, our last-minute hotel reservations took us to the far outskirts of Munich, so staying out late was just too much time and effort. The next morning, we ventured back into the city to return to Oktoberfest. Whether most of the Saturday crowd was out too late the night before, or the fact that it was Election Day for locals, we found the festival quiet again when we arrived, allowing us to snag valuable seats inside another tent. The change of venue instantly changed our experience. Gone was the outdoor chill, replaced with the warmth of band music and occasional tent-wide chanting. By mid-day, the crowd began to pick up and the ambience became more lively. Though our afternoon was forcibly cut short by our return train tickets, one of my friends and I made a point of venturing to the Nymphenberger Sekt tent (I am not making that up). Unlike most other tents, focused on one or two of each brewery’s popular beers, the Sekt tent was dedicated almost exclusively to sparking wine – though it also offered other varieties of wine and beer on tap. Smaller than the other tents, it was more intimate but laid out like a wood-accented music hall, packing festival goers more closely. A contemporary band and wood bar added to the more sophisticated but unpretentious feel of the tent relative to the beer-centric ones. 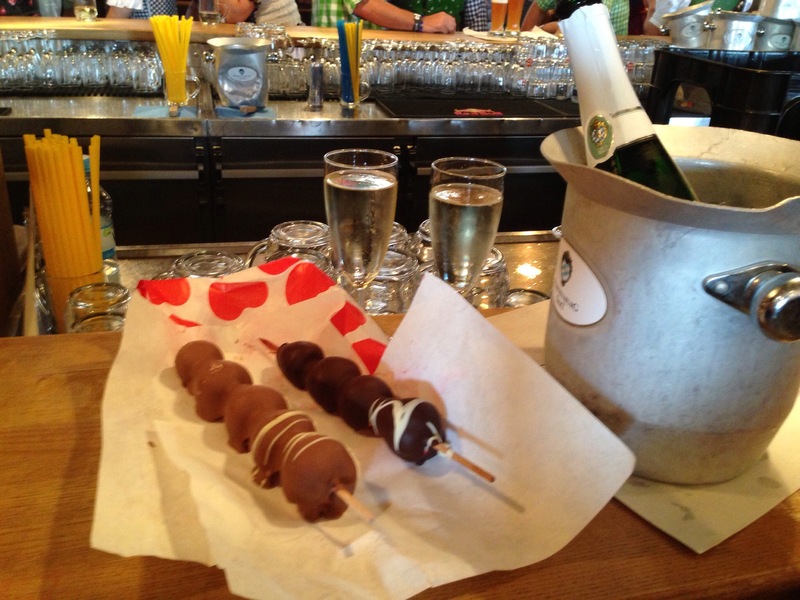 My friend and I had stopped by an outdoor stand that sold skewers of chocolate dipped fruit, which we brought into the tent and paired with a bottle of Sekt for a perfect lunch. 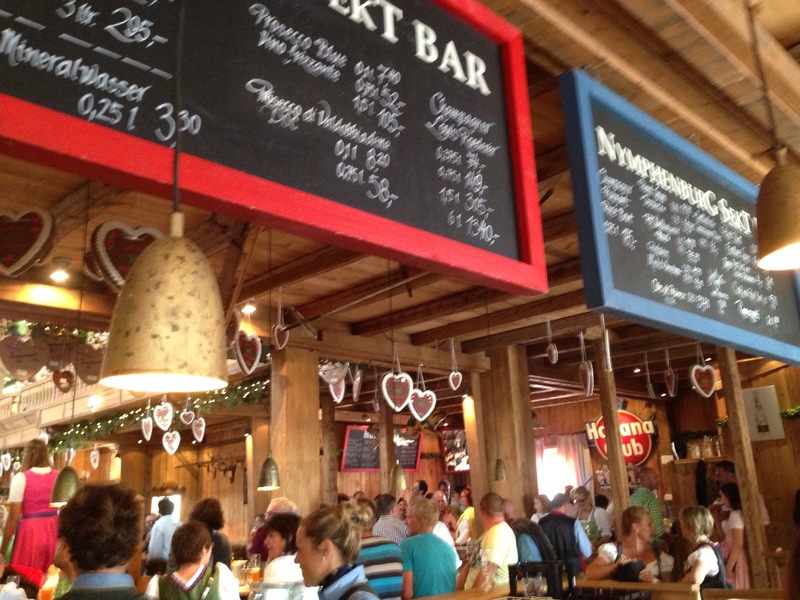 The bar, as the bar layout typically does, offered more opportunities to people watch and chat with strangers – not without Sekt jokes. In one case, we chatted with a pair of other American tourists only to learn that both happened to live in my own childhood hometown, which added to the charm and comfort of this tent. Beer purists might scoff at the idea of a tent dedicated to sparkling wine at Oktoberfest, but I felt it offered a fun alternative to the other beer-focused tents. One can only drink but so much beer, anyway! 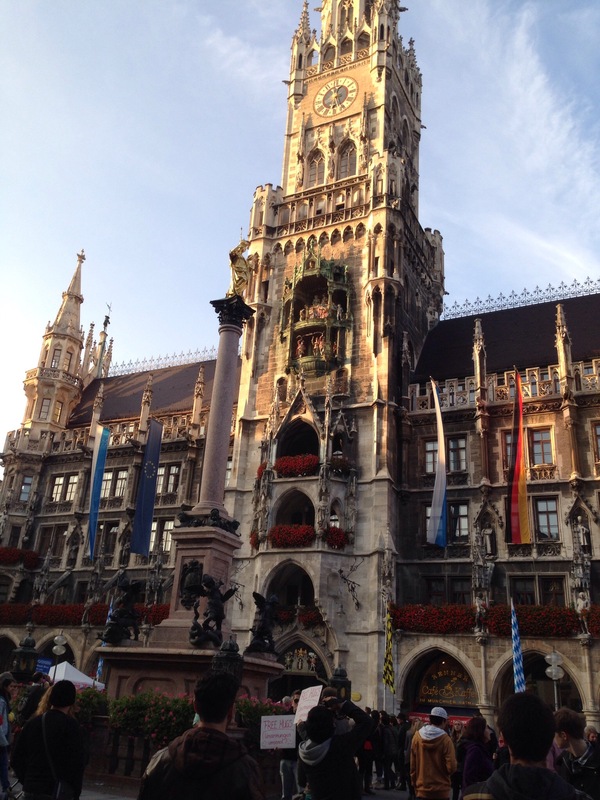 Just when we were really enjoying ourselves, it sadly was time to leave Oktoberfest and Munich behind. Though the entire experience was hastily planned, and it was quite different than what I had envisioned Oktoberfest to be, I was thankful to have the adventure and experience under my belt. If you have ever wanted to experience Oktoberfest for yourself, do so – but do your research and plan in advance!